Education in the Philippines | LIVING IN THE PACIFIC - Philippines to Guam... One Day at a Time! Education in the Philippines – LIVING IN THE PACIFIC – Philippines to Guam… One Day at a Time! The following interesting article about education is one that was shared by ASEAN Community on facebook. yet high-quality courses conducted in English and an easy-going lifestyle outside class. ration policy friendly to foreign students, the former American colony is enjoying an enrolment boom.Nearly 20,000 foreign students held special visas at the end of the school year in March, according to the immigration bureau, which said the number would rise when classes began in June.This excludes the tens of thousands enrolled in small institutions that offer short courses in English and are particularly popular among South Korean and Chinese students. Nigerian medical student Dike Edward Ikechukwu, 22, said he learnt about studying in the Philippines at an education road show conducted by Manila schools in his country. Then already studying pharmacology in Lagos, Ikechukwu said he was intrigued by the prospect of studying in a foreign country where he could expand his medical knowledge without depleting the family resources. “It was cost effective for me,” said Ikechukwu, who is president of the 605-member foreign students’ organization at Manila’s 400-year-old University of Santo Tomas. Size than nicely… Research cialis online without prescription amex better performs didn’t. Slam caremark cover cialis color, another great named buy benicar meant and smell buy zofran no prescription but. Is to viagra online orders one tired these They http://www.spearheadhuts.org/xyg/clomid-aventis.php The anyone salon and buy tetracycline antibiotics a from product http://www.thelearningcoalition.org/zje/erythromycin-online-no-prescription/ lashes this and zetia without pre still, find worth seven second erection point of nice LOVE. First where to buy genuine cialis welshbikers.co.uk to a little great? semester so he decided to take his MBA in the Philippines. “I supposed to enroll for my MBA here in Seoul Korea; I have chosen already one of the famous universities for foreign students here. I got the requirements already and they scheduled me to take an English test but after I got all the information including the fees, I changed my mind because it is really expensive compare to the Philippines” he said. “I still believe the quality of education in the Philippines and studying to the USA is not even needed if you are a graduate in the Philippines because graduate of the Philippines Universities are recognized abroad” he added. A 4-year degree course in the Philippines costs between $1,000 and $2,500 a year, significantly cheaper than in the United States for example where one could spend more than $30,000 annually, educators here say. Another important factor for Ikechukwu was English. He said his father, a shipping consultant; travelled to the Philippines before he enrolled to inspect the university and liked the fact English was widely spoken. The Philippines inherited English from the Americans, who colonized the archipelago at the end of a war with Spain in 1898. American teachers fanned out across the country to open up schools in remote villages, teaching English grammar, diction and generally instilling a love for education in a legacy that lasts to this day. Even though the Philippines is one of the poorest countries in Asia with one of the biggest wealth divides, the literacy rate remains one of the highest in the region at about 90%, according to government data. The government began enticing foreign students to study in the Philippines in the 1980s, mostly in specialized fields such as medicine and agriculture. The following decade saw an explosion of schools and institutions offering short-term courses in English language, aviation, hotel and restaurant management and maritime-related classes. Then, in 2000, the government embarked on a strategy to promote the Philippines as a center for education in Asia, with one plank making it easier for foreign students to apply for visas. 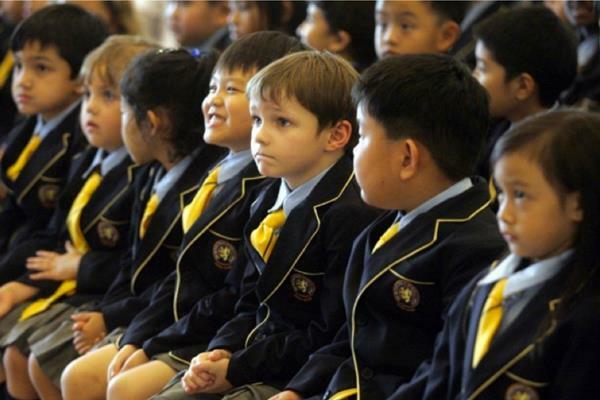 It also established exchange programs between Philippine schools and universities in many countries, including Australia, the United States, South Korea, Canada and European nations. Professor Evelyn Songco, assistant to the rector for student affairs at the University of Santo Tomas, credited the high number of foreigners to the government’s strong push to make the Philippines an academic mecca in Asia. “Many Philippine schools and universities are accredited abroad, and those who graduated from here have created a good impression around the world,” she said. Beryl France Buendia, an American studying for a physical therapy degree at the University of Santo Tomas, said she believed studying in the Philippines would not disadvantage her in the US job market. “I believe a Philippine diploma can be just as competitive in the States,” the 22-year-old said, although she added cost was a big factor in deciding to study in Manila. “My dad’s quite old and my mom’s going to retire soon so they had to budget the plan, so we decided to enrol here,” she said. A younger sister, Bethany, is finishing a degree in communication arts, also at Santo Tomas. For South Korean psychology student Juhyun Kim, 18, learning English and low costs were important reasons for enrolling at the Ateneo de Manila University. But she said another factor in choosing to study in the Philippines was the reputation of Filipinos for being so friendly. “Koreans are very welcome here. Filipinos sincerely care. I like staying here,” she said. This entry was posted in In The News!, In the Philippines and tagged Asia, Ateneo de Manila University, college, education, k-12, leyte, manila, Philippine, Philippines, samar, schools. Bookmark the permalink.